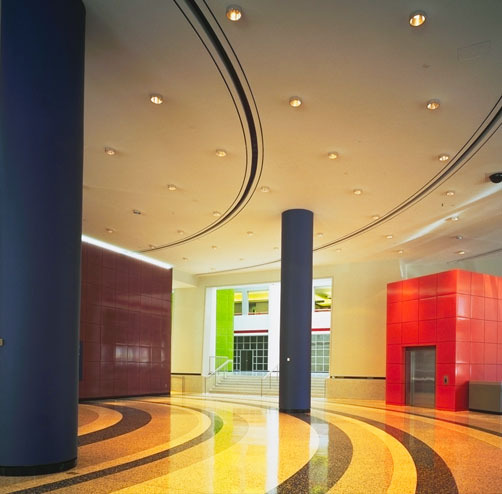 Designed by American architect, PHILIP JOHNSON, the CBC Broadcast Centre invites you in to take a look. Walk through the Barbara Frum Atrium, visit the Radio and Television Museum and the uniquely Canadian gift shop, attend a concert in the Glenn Gould radio studio, celebrity watch, or – if you’re lucky – see a television show in production. 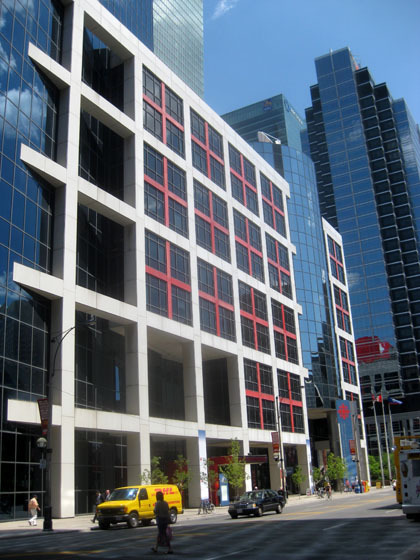 TORONTO is the CBC’s major English language production centre. Canada’s national public broadcaster is a crown corporation, but operates at arms length from the federal government. Among its many services – English and French television; cable TV news networks in both official languages; 3 English radio networks; 3 French radio networks; domestic radio/TV services in eight Aboriginal languages; an Arctic Northern Service; and Radio-Canada International, which broadcasts via shortwave in 9 languages. The CBC also owns 40% of Sirius Satellite Radio Canada, and broadcasts several times weekly on National Public Radio in the US. All in all, an amazing – and often controversial – cultural institution. One unique feature about the CBC Broadcast Centre: the three largest television studios are on the roof. Studios 40, 41, and 42 are home to Canada’s most popular Englsh-language programs. In season, tickets are available. This entry was posted in Art & Design and tagged Canada, CBC Broadcast Centre, Ontario, Toronto. Bookmark the permalink.